This historic decision was shared by the Ministry of Communications & Information Technology on the eve of completing 1 year under Modi Govt. In April this year, BSNL had slashed roaming rates by 40% after TRAI issued a notification regarding the same. Idea, Reliance, Vodafone and Airtel had also reduced their roaming charges last month after TRAI’s tariff cut. Now, after BSNL has made roaming absolutely free, it would be interesting to observe private telecom players’ strategy to counter it. Telecom Ministry also announced that Full Mobile Number Portability (MNP) across India would be now live from July, 2015. Earlier, we had reported that Nation-wide MNP would be rolled out from May 3rd. Due to some technical glitches, the roll out couldn’t happen in May. 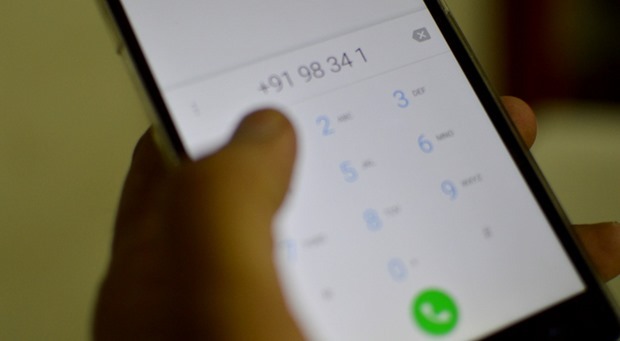 Hence, from July onwards, any user from any telecom operator can easily switch their services using the MNP feature which doesn’t require changing of the mobile number in order to change services. Telecom Minister Ravi Shankar Prasad tweeted this news as well. Full Mobile Number Portability (MNP) from July this year. – Against the approved reserve price of Rs 80,277 crores for the action of telecom spectrums, the Ministry received Rs. 1,09,874 crore, which is the highest amount till date. – BSNL + MTNL has crossed 10 crore subscribers (landline and mobile) in April, 2015. This is the fastest growth rate in the last 3 years. – BSNL added 47 lakh new users meanwhile MTNL added 2.11 lakh new users in 2014-15; which is actually a reverse from the negative growth which these two major corporations were experiencing since last 3 years. – 48.9% of all rural areas are now covered by telephone; another fastest growth rate in the last 3 years. – Broadband connectivity has now reached 65.33 million Indians, which is a growth rate of 52% during the last 10 months. Broadband, as per DoT means an Internet connection with speed of more than 512 KBPS. – FDI into the Indian telecom industry has reached a peak of $2.8 billion (as of February, 2015), which is highest growth rate in the last 4 years. – BSNL will set up 100 new WiFi spots at important tourist locations such as Varanasi Ghats, Hussain Sagar Lake-Hyderabad, Bangalore, Cochin, Vijayawada etc. Earlier we had reported that TRAI has mandated that all call drops be refunded to users. Call drops are those calls which cut off within 1-5 seconds of it’s start, due to network issue. Globally, all call drops are refundable which has now been made a rule in India as well. You can view all the updates and announcements made by the Ministry of Telecom here. "Its Official, BSNL To Roll Out Free National Roaming from June 15; Full MNP From July! ", 5 out of 5 based on 1 ratings. Finally, Free National Roaming facility will be available . This initiative would surely help BSNL get more customers. Planning to switch to BSNL after the move.